Summary: L-Theanine & Caffeine combination is one of the safer and most popular nootropic stacks out there. 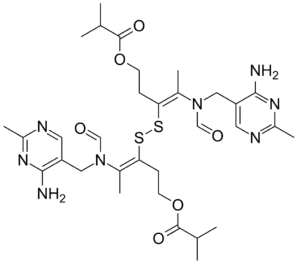 Most of the time, it is what people start with when experimenting with nootropics due to its simple understanding, profound effect, and vast availability of data. The typical combination ratio is 100mg caffeine to 200mg L-theanine. L-Theanine: an amino acid found in certain plant species, and mostly known for being one of the compounds of green tea. You can read more about L-theanine as a nootropic here. Stack: taking more than one nootropic at a time (2 or more) because they synergize well together, increasing and complementing one another’s effects. Synergy: the creation of something that is greater than the simple sum of its parts – (nice definition, I had to throw it in there). When we hear of caffeine, the first thoughts that pop in our heads (and to many, the only) are something along the lines of stimulants, energy, wakefulness. Most people tend to overlook the actual benefits of caffeine. Not necessarily the 6 pumps vanilla sugar-filled chocolate drizzle frappuccino. What I refer to here is caffeine in its pure form, the chemical, central nervous system stimulant. Caffeine boosts memory and especially memory consolidation, as shown in a Japanese study at Johns Hopkins University. That, of course, doesn’t mean it doesn’t have a negative side to it though. L-theanine, on the other hand, is much less known comparing to caffeine. But it is very well known to those within the nootropic community. Although it is existing in green tea, the concentration is too low to produce notable nootropic effects. Therefore, nootropically speaking, a higher concentration of l-theanine is required than that found in green tea for example. Which is what led to the production and widespread l-theanine supplement in capsule form. It boosts GABA, serotonin and dopamine levels in the brain, as well as lowers excitatory chemicals. Thereby, L-theanine reduces stress and anxiety. Enhances attention, focus, and learning ability. Now, speaking logically, what do you think would happen if you take both caffeine and theanine together, at the same time (caffeine l-theanine stack)? The stimulation, alertness, and wakefulness, without the associating crash, jitters, or anxiety that often come along with or after caffeine consumption. Due to L-theanine calming and relaxing effects, this combination is one of the most popular nootropic stacks. It is simple, and both cimound have a vast amount of studies on them. So not a lot of digging is required to pull information on them. Although newer formulations have been surfacing around, the widely known caffeine & l-theanine dosage is a 1:2 ratio. In most cases, that being 100mg caffeine & 200mg L-theanine. Vendors such as Nootropic Depot have already come up with an “enhanced” formula for caffeine/theanine with a ratio of 1.5:2, and the addition of extended release technology that sums up to optimal use of both compounds. I still have it on my to-do list to try the sample I got with my last order…soon…….. I don’t respond very well to coffee. I love it but its the unforbidden love to me because too much caffeine intake increases my hyperactivity. But when it comes to caffeine/theanine combo, it seems to take care of that and lead me to a hyper-focus state. Especially given that I’m ADHD, I can get very engaged into something and lose track and sense and even existence of time all together. However, although I have caffeine/theanine from ND, I don’t really find myself using it frequently. And that is mainly due to the fact that I drink a cup of bulletproof coffee first thing after waking up. Even though the caffeine concentration is lower in my morning coffee than the common 100mg, I drink my cup followed by a 200mg L-theanine. I found that this works the best for me, allowing me to reap the benefits of both, the synergy of the two compounds, as well as enjoy my bulletproof coffee and practice intermittent fasting (in my personal dictionary, this could also mean starvation and weight loss, but let’s stay on topic here). Summary: MindLab Pro is a pre-formulated, all natural nootropic supplement. A blend of 11 natural and potent ingredients in 1 pill. It offers a great convenience while delivering measurable and obvious increases in physical and mental performance. I have come across Mind Lab Pro after the rebranding and introduction, and was immediately drawn to its overall presentation. I care about companies images just as much as I care about the product itself. After immersing myself into reading every word on the extensive ingredient list and description of each, I thought to myself, and I owe it to myself to give it a shot. The price was reasonable for the content, and I ordered my first bottle. Fast forward about a year later, I still have it standing amongst the first on my shelf. Except now I also have my mom and two sisters, as well as a friend or two, all enjoying supplementing and using it on a daily basis. With such an impressive list of ingredients formulating together into one (or two) pills, it’s no surprise why Mind Lab Pro made quite a name for itself and maintaining a loyal, returning customers. What Are MindLab Pro Benefits? 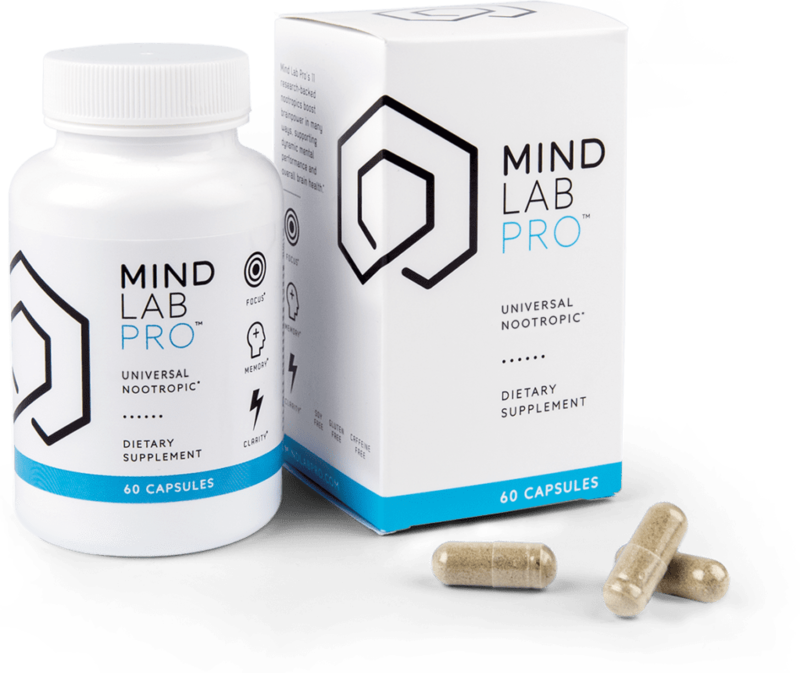 Unlike any other nootropic on the website, it’s a little bit more challenging to list down the benefits and effects of using Mind Lab Pro because it consists of 11 different ingredients, each of which serves many benefits. However, you can click on each component and see the list of its benefits and effects. I’ve used it short term and long term and have seen results in both ways. What I like the most about Mind Lab Pro is the fact that it has citicoline, which means I can perfectly pair it with a racetam without having to get an additional choline source (currently I take Alpha GPC when taking racetams). As well as the fact that it also has Lion’s Mane Mushroom which I think is one of the most profound nootropics I have come across. So when I wake up in the morning and wanting to head out to work fast and arrive fresh and mentally prepared, (also because I’m almost always late), I would only take 2 pills instead of reaching out to 11 different containers and taking 1 by 1 – I am one who really goes the extra mile for convenience. What Are The Side Effects of MindLab Pro? Again, from personal experience, and at least six people that I know from friends and family, none of us have encountered any side effects that were leading back to Mind Lab Pro. I’ve recommended that they take it with a fat source for better absorption and to avoid any stomachache, but I almost always take it first thing in the morning and never had any adverse effects. Honestly, if anyone asks me for a recommendation when first starting on nootropics, I would recommend Mind Lab Pro. And I am not even an affiliate nor sponsored by them whatsoever (although I should be…) – it is a genuine suggestion. It has many good ingredients and at moderate dosages. Beginners can easily understand the mix and expand their knowledge further intro nootropics if they wanted to. Moreover, I also really enjoy the (if not mistaken) buy two get 3rd free & buy three get 4th free. It makes a good value for money and always comes in handy for last minute packing, late and rushing situations, and can even be carried out in your bag on day to day basis unlike when you’re using a stack of different products. I don’t think I can’t even fit all the containers I have from various companies in my car trunk. Ashwagandha, as well as: Natural Herbs page. Summary: L-theanine is a natural amino acid, often called the “natural xanax”. It almost only exists in green tea leaves. It works brilliantly in unwinding and relaxing the body and brain without causing drowsiness, while reducing stress and increasing cognitive function. Due to not causing drowsiness, it is the perfect choice to combine with stimulants of any sort to take the edge off. L-theanine is a relaxing, non-sedating amino acid that is synergistic with stimulants to ‘take the edge off.’ Especially with coffee, it synergizes so well resulting in clean energy, furthermore preventing the nasty caffeine crash that many people experience after caffeine intake. It is also useful on its own, promoting relaxation and minimizing stress without causing drowsiness. A combination of L-theanine with caffeine at a 2:1 ratio is increasing in popularity as a remarkably synergetic combination that boosts cognition and attention. It is an amino acid that naturally exists in green tea leaves as its main active ingredient, and that is the only source that provides it. It is famous for its fantastic nootropic features such as improving memory, expanding learning capacity, as well as providing a calming, zen-like effect. L-Theanine, for the most part, is a relaxing but not sedating amino acid that is synergistic with stimulants such as caffeine as it can ‘take the edge off’. It is effective by itself in the standard supplemental dosages as well, and although it can be attained via a diet high in green tea ingestion that is the only dietary source of L-Theanine. L-Theanine has also been in the list of 6 best natural nootropics as second to caffeine. Theanine and caffeine are typically found together in tea. A combination of caffeine and theanine together significantly improves alertness, reduce fatigue, and improves task-switching accuracy. High dose caffeine (250 mg, equivalent to 2.5 cups of coffee) has some negative effects, such as jitters and increased blood pressure. Theanine was able to mitigate the increase in blood pressure. “L-Theanine decreases the negative and jittery effects of caffeine in rats. However, human studies found that L-Theanine helps reduce caffeine jitters, although the changes were not significant. L-theanine has a comparable chemical composition to glutamate, an amino acid that assists in the transmission of nerve impulses in the brain. Thereby, providing a host of benefits for the mind. It has a remarkable ability of crossing the blood-brain barrier, which means that it reaches the brain directly. Furthermore, it has positive effects on stress levels proving to increase both dopamine and serotonin levels in brain; which are two of the brain’s feel-good chemicals. Green tea is known to be effective at helping people relax due to the positive impact on those neurotransmitters. For those interested, you can actually purchase a supplement pre-made that has 200 mg Theanine & 100 mg Caffeine pressed into one capsule. I’ve personally used and still use Nootropic Depot’s. Note: if you have anxiety or hypertension, you may want to skip caffeine entirely as it aggravates the symptoms. Experimenting is the best way to find out how you react to it. L-theanine is exceptionally reliable. Furthermore, it is classified Generally Recognized as Safe by the Fraud and Deception FDA in the US. L-Theanine is a natural safe amino acid offering many benefits. It’s a popular choice for individuals wanting a simple and effective way to boost their mental performance. Alone, with caffeine, or even with an advanced nootropic stack; L-theanine is worth trying. What is L-Theanine and how does it work? L-theanine is one of the main psychoactive constituents of green tea (camellia sinensis) generally used as a dietary supplement to promote relaxation, lift mood, and reduce anxiety without sedation. Beyond that, it’s been shown to generate creativity and higher learning via the ability to ignore distracting information during complex tasks. Now the science: L-theanine induces a calm state of mind by promoting alpha waves in the brain, and has been shown to increase dopamine, GABA, and glycine levels in various areas of the brain, as well as modulate BDNF (Brain derived neurotrophic factor) and NGF (Nerve Growth Factor) levels. In fact, in one recent animal study l-theanine consumption was associated with about a 25% increase in BDNF and about a 100% increase in NGF in the hippocampus. L-Theanine has structural similarities to glutamine and both neurotransmitters that are produced from it (GABA and glutamate) help balance and maintain stress levels while maintaining a state of wakeful relaxation. Lately, L-theanine has been growing in popularity due to its synergistic effects with caffeine to help boost focus. Systematic reviews show that L-theanine significantly mitigates the anxiety inducing side-effects of caffeine to create a balanced focus. Should I take L-Theanine every time I drink coffee? Are there any adverse effects from long-term L-Theanine usage? Yes, and no. Let me explain. L-Theanine is a phenomenal compound when mixed with coffee, due to the stacking of effect, as well as the reduction in some of the negative effects of caffeine itself. For example, in my biohacking course The Alchemist’s Guide To Biohacking, I talk about how I stack coffee blended with grass-fed butter, coconut oil, MCT, L-Theanine, macadamia or almond butter, and sometimes raw honey almost every single morning. It’s a part of my daily routine, and probably my most favourite (and definitely tastiest) part of it, if I have to choose one. However, like all compounds I take on a regular basis, I try to observe a 6/1 or 6/2 cycle with them, meaning six weeks on, then one or two weeks off, depending on the compound. This is to reduce dependency, as well as ensure my body isn’t getting used to the effects, resulting in me possibly having to take more. I’m currently in an off phase now with pine pollen, one of my go-to herbal supplements to boost my testosterone levels. With L-Theanine, I tend to take a week off at the same time I give myself a week off from coffee/caffeine, as it helps to do both at the same time for me. Has anyone used L-Theanine as a meditation aid? When you take L-theanine your thinking will seemingly slow down considerably, but you are not fully conscious when L-Theanine is in your bloodstream. It shuts off certain areas of the brain and limits the bandwidth of brain waves to predominantly alpha waves (1). Full meditative consciousness requires great brain wave bandwidth from delta – to high gamma waves and full activity of the neurotransmitter systems. It is best to meditate completely sober, then your brain will adapt properly to fully receive consciousness. Theanine is beneficial though, after it has metabolized by the body. It acts like an adaptogen and increases strength of brain. Your alertness increases 24 h after consumption and meditation is easier for 48 h. This is because brain have adapted to the presence of L-theanine, and once it has been metabolized, the brain neurons will fire with greater intensity, until brain is again adapted to absence of L-Theanine. L-theanine, a natural constituent in tea, and its effect on mental state.